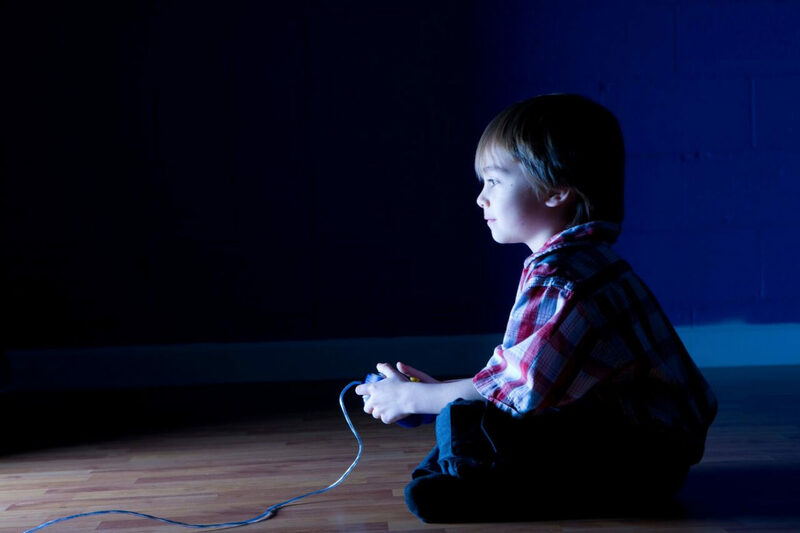 We’ve all heard the headlines: Video games cause addiction, violence, and distress. Ludectrophobia (a fear of video games – but we all knew that) has evolved since the 1980s as each decade brought new concerns. “Gaming disorder” is now even an official medical condition. But there’s another side to the story. Video game producer Johnny Chiodini says it’s important to look at the good done by games. 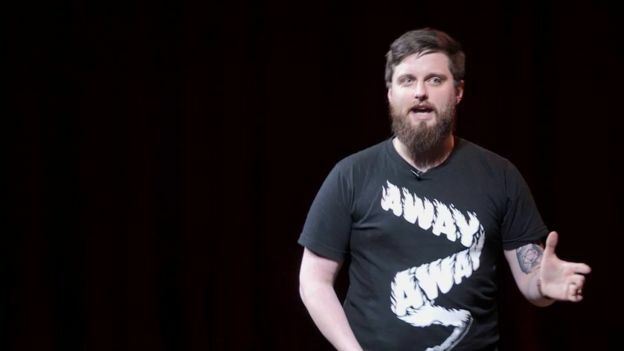 His YouTube series Low Batteries examines how video games help players cope with their mental health struggles. It’s based on his own experiences. “For pretty much my whole life I’ve used video games as a support tool to help me deal with difficult times,” he tells Newsbeat. If anxiety or depression overwhelms him, he often dives into a virtual world to “stop my internal monologue from having such a prominent place in my brain”. He believes playing games too much is often a symptom of wider mental health issues, rather than a cause of them. Oxford University’s Andy Przybylski, director of research at the Oxford Internet Institute, studies how video games impact our mental health. His findings show just 0.3% of gamers might experience problems controlling the time they spend playing video games. While that figure works out as “thousands of Britons”, he believes if gaming was “truly addictive, you’d imagine you wouldn’t be able to build addiction clinics fast enough. “They’d be running out of cement,” he says. 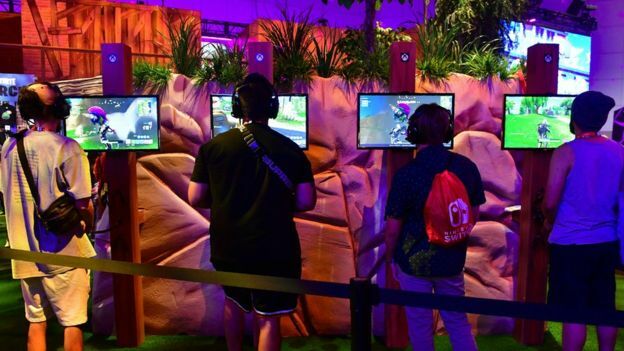 Video game addiction has been talked about since the days of arcades, where individual titles led to debate over the industry’s effect on mental health. Grand Theft Auto has faced claims that it increases aggression, while World of Warcraft was criticised as far back as 2005 over allegations it damages players’ interpersonal skills. But Andy’s research shows that while gaming does cause emotional changes in players, these are all short-lived – a spike in happiness if you win or rage quitting (that’s stopping playing a game in anger, in case you didn’t know). The industry often defends itself against accusations it’s harmful by pointing to player testimonies that games helped them through difficult periods, or allowed them to build strong communities of friends. But “the evidence for long-term benefits is just as sketchy as the evidence which says there are problems,” Andy says. 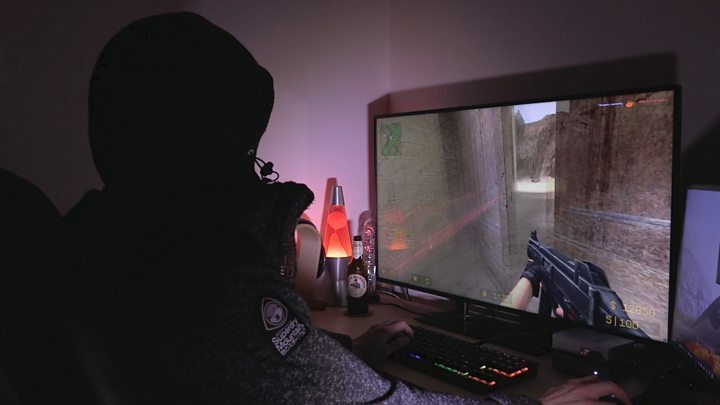 The World Health Organisation has classified “gaming disorder” as a mental health condition where an individual prioritises games over “other life activities” for more than 12 months with negative consequences. Private clinics exist in the UK to treat the condition. Technology addiction specialist Dr. Richard Graham says he sees around 50 new cases of digital addiction each year. Johnny agrees that the games industry has a responsibility to look after players and address any potential problems. And he gives a recent example – loot boxes. If you’re not a gamer, let me explain – loot boxes are virtual crates that contain goodies like weapons, costumes and other perks. In a lot of games you’ll win some loot boxes for free, but they can also be bought with real money – varying from a couple of pounds for one, to £100 for a bulk buy. 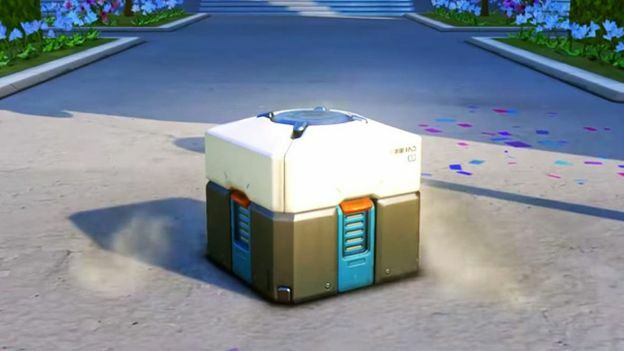 Loot boxes are controversial because they’re tempting, but a risk. It’s common to pay up hoping for a particular item, but items in a box are randomised so there’s no guarantee you’ll get anything good. Johnny says games makers should be identifying if games are “encouraging compulsive behaviors such as gambling”. He says loot boxes are a “relatively recent phenomena” and “there’s a good case for regulation”. But while gaming can pose unique problems, it also offers benefits that other mediums like TV or books cannot. Laura Kate Dale from gaming website Kotaku UK says gaming is one of the most powerful storytelling platforms creators have, because players can actively solve a character’s problems rather than passively watch them as they would in a TV drama. She points to video games that help players “walk a mile” in the shoes of those enduring mental health problems. 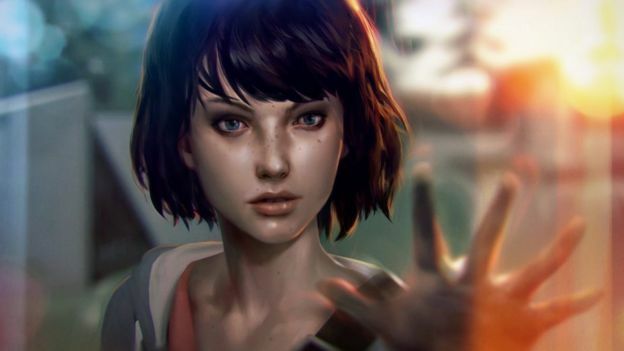 “If you look at games like the second episode of Life is Strange, it dealt with some difficult themes, like suicide,” she tells Newsbeat. “After it dealt with those difficult scenes it brought up advice. It had a little bar that came up that said ‘If you’ve had a difficult time with some of the issues of this game, here are some numbers you can call for support'”. 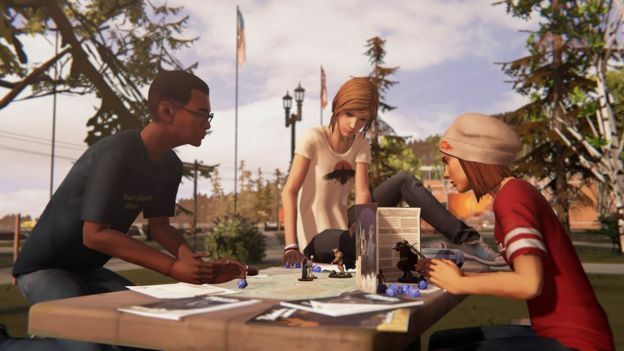 Life is Strange prompted conversations around suicide in 2015 – two years before the TV drama 13 Reasons Why, which also attempted to tackle the issue. In the video game, players control a girl who develops the ability to rewind time. The story is about the importance of decision making, and how one single action can have a chain reaction that affects many people. Netflix’s 13 Reasons Why was criticised by some for how it presented teenage suicide, while Life is Strange was praised for sensitively handling the mental struggles of growing up. “If you can experience what someone experiences rather than being shown, it makes you more able to empathise with their situation,” Laura says. The key to more balanced debate around video games and mental health is… more debate, according to Andy Przybylski. “Nobody’s properly talking to each other. You have pundits blaming parents. You have industry saying there needs to be social responsibility. Instead, he thinks developers should be more open with their data – and share it with researchers. “Because a lot of the evidence right now is based on surveys, it’s based on observations of some players – but really what psychologists can measure is nothing compared to the kind of testing that goes on every day with online games. Can allergies cause mental health issues? What Does the Flu Feel Like?